Vega is a premium brand of plant-based lifestyle and performance nutrition products. Based in British Columbia, their goal is to give customers the knowledge and nutrition to help become better on their own terms - one small change at a time. Vega’s content marketing team is focused on building their audience, while also keeping current fans highly engaged. In addition to content that supports brand awareness campaigns, Vega’s content distribution includes organic and paid social media posts, editorial and promotional emails, educational webinars, and more. 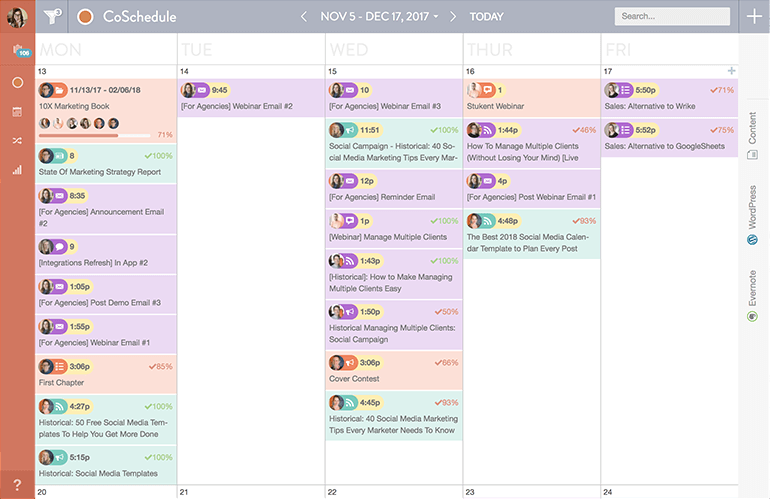 Building the perfect marketing calendar isn’t easy. New project requests flood your inbox and managing numerous details + deadlines is a difficult balancing act. As Vega has grown, more teams are contributing content to their promotional calendar. The company’s former process of copying + pasting content between numerous spreadsheets wasn’t working anymore. The content team needed a solution that gave them a broader, real-time view of their entire company’s marketing calendar. Managing all of their marketing projects inside CoSchedule gives the entire team line of sight into what’s happening in the world of marketing for Vega. If content needs to get moved or last minute projects come in, their content team has the visibility to move projects that take priority on their publishing schedule. The added visibility helps their team create, schedule, and execute strategic promotional campaigns faster and more efficiently. The average life of a single social message is mere minutes. So why only share it once? Vega uses ReQueue, CoSchedule’s social automation tool, to get more mileage out of their top performing social media messages. “We’ve been using ReQueue extensively on Twitter and Facebook. It’s really valuable for us because so little of our audience sees our organic posts. 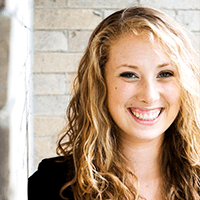 Now we are able to fill in gaps in our social media without having to think or plan every single post on Facebook and Twitter,” – Elizabeth Jarrard, Content Marketing Specialist. And because the majority of their content strategy is centered around nutrition and food, Vega has a lot of seasonal evergreen content to share via social media. They’ve created and launched Facebook and Twitter ReQueue groups for each season to save time and improve their reach on social media. “We use seasons as the groups. It’s super easy. Next summer, I can just change the dates on Twitter Evergreen Summer and launch those messages in ReQueue again,” continues Elizabeth. Which keeps their social messages hyper-relevant to their audience, and makes it easy to promote the recipes and products that are most popular during certain months of the year. With a large marketing team of 32 people, it can be easy for conflicting priorities and ideas for content and campaigns to weigh down process. That is, unless there is an easy way to communicate and see what has already been planned. “Sometimes content would show up on a channel, and our team wouldn’t know where it came from. Other teams would let us know they’d been planning it for a month. But nobody else knew about it. 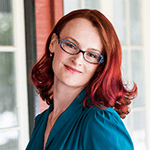 Now we can facilitate collaboration and conversation across teams about how everything is supposed to work together – which has never been possible before,” Amber Kennedy, Content Marketing Manager at Vega. 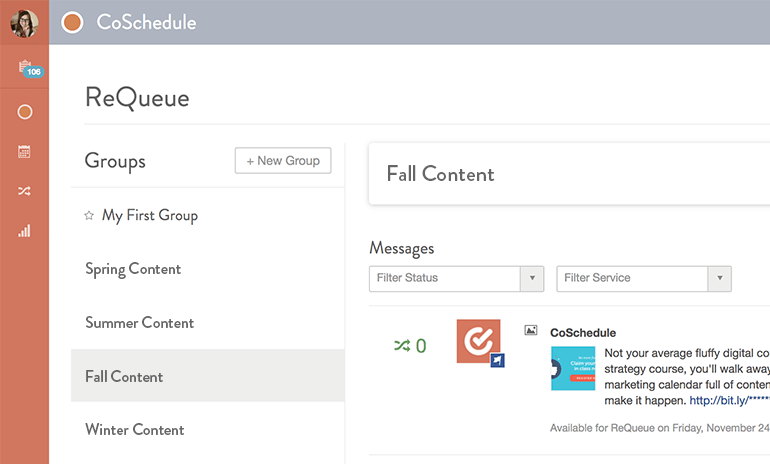 By using Saved Calendar Views in CoSchedule, it’s easy for their team to oversee and schedule projects coming in from Vega’s different functional teams within the larger marketing department. Their team has created saved calendar views to filter their calendar by distribution channel and by team across their organization. Now there are no surprises on their calendar. They can easily see what customer experience, eCommerce, Branding and other marketing teams are planning and publishing, making it easier to align all of the marketing efforts across the entire company.